We have to follow our own laws and processes properly so that we are respected by the world as a rule of law state. India has proposed nine points to the G-20 member nations asking for strong cooperation to deal with fugitive economic offenders. I do not know of any economic offender who flees from other nations to India so presumably we are doing this mainly with respect to Indians who run away to these countries. The G-20 nations are Argentina, Australia, Brazil, Canada, China, France, Germany, India, Indonesia, Italy, Japan, Republic of Korea, Mexico, Russia, Saudi Arabia, South Africa, Turkey, the United Kingdom, the United States and the European Union. Again, I do not know of Indians who flee to Russia, Saudi Arabia, Turkey, Japan, Korea, Mexico, Indonesia and such places. The preferred place is the United Kingdom. The question we Indians should ask is: What is the problem in getting the UK to extradite our citizens? In the other case, judge Emma Arbuthnot ruled that it would be unjust to extradite the couple because of long delays from the CBI. Let us look at why India fails at extradition so often. The first issue is the quality of our investigations. The evidence that India produces is from agencies like the Central Bureau of Investigation. Under the present government the agency has lost all its credibility. Its top two officers have blamed each other for corruption and the Supreme Court has had to intervene. Why should any law-abiding nation take the CBI seriously when even India does not? The second is the quality of our judiciary and the respect it commands. In a recent case of journalist Abhijit Iyer Mitra, who asked for bail because he felt his life would be under threat in jail, India’s Chief Justice Ranjan Gogoi said: “If your life is in danger, then what better place to stay than jail?” I will leave it to readers to determine how the world would view this. The third thing is the condition of our jails. In March 2013, Ram Singh, one of the accused in the infamous Nirbhaya case, perhaps the most important criminal case of our generation, was found hanging in his small cell in Tihar. The Tihar law officer and spokesman said it was unclear if this was murder or suicide. Singh had severely injured both his arms in an accident in 2009 and a metal rod had to be inserted in his right arm, making it difficult for him to even bend it or clench his fist. In order to commit suicide, Singh would have had to rip apart a sheet, tie it to an eight-foot high grill on the ceiling, reaching out with the help of a medium-sized plastic bucket, and hang himself — all without waking up the three other inmates sleeping in the same tiny cell in the dead of night. In 1995, the government of India sent the CBI to extradite Iqbal Mirchi. I was a sessions court reporter in Mumbai at that time. Mirchi’s lawyer, Shyam Keswani, gave me the document that the government of India was giving the British magistrates. It was a 200-page chargesheet. None of the first 199 pages referred to the accused. The last page said: “Also wanted in the case, one Iqbal Memon alias Mirchi.” Of course the British judges threw the case out. 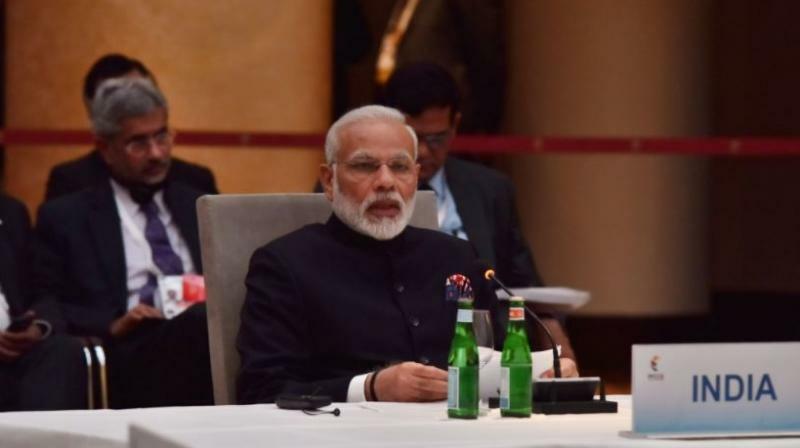 Prime Minister Modi has told the G-20 that they should implement international principles on transnational organised crime and that the nations should cooperate more actively. Unfortunately for us, many of these are rule of law nations, meaning that their judiciary is actually independent. They will observe and accept the absconding person’s argument that in India the investigating agencies, judiciary and jail system are problematic. This cannot be denied, even by us. The problem is not external and our focus should not be on what the other nations should be doing. Our proposal to G-20 is meaningless in that sense. We have to look inward. We have to follow our own laws and processes properly so that we are respected by the world as a rule of law state. At the moment, and this should shame all of us, we are not.